Your smartphone now gathers more information about you than you probably realize. They can measure 100 or more indicators that in combination can give near total accuracy in identifying you. SAN FRANCISCO — The things that make humans unique — fingerprints, irises, facial features — have become the preferred way to sign onto banking accounts online or other sensitive websites, the newest solution to the problem of hackable and forgettable passwords. But your fingerprints can be stolen, your photo replicated. Now cyber experts are looking at the next security step: cellphones and computers that actually recognize you from a variety of factors. Your smartphone now gathers more information about you than you probably realize. “It’s amazing how many sensors there are on a modern-day smartphone. 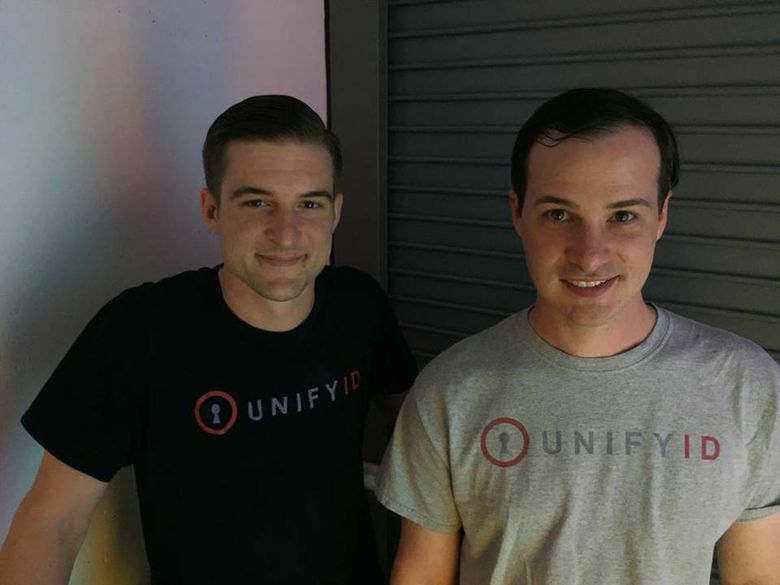 You have motion sensors, like an accelerometer, a gyroscope and magnetometer,” said John Whaley, chief executive of UnifyID, a startup that offers what it calls revolutionary authentication. Then you have other sensors, such as GPS, Bluetooth and Wi-Fi. All told, an average smartphone has 10 or so sensors measuring precise details about location and user habits. Smartphones can measure the angle that your cradle your devices, the pressure you put on the screen, how much of your finger touches the pad, the speed at which you type, how you swipe, your physical rhythms, the times you normally stir in the morning — some 100 or more indicators that in combination can give near total accuracy in identifying you. If passwords become a thing of the past, it is likely due to what computer scientists describe as machine learning — which allows computers to find hidden insights without being explicitly programmed where to look — as well as improvements in sensors that measure our lives and actions with precision. What Whaley calls “implicit authentication” may change the way humans interact not only with phones and websites, but maybe the world at large. ATMs may recognize us as we approach. Clerks or cash registers at stores may greet us by name as their computers recognize our smartphones. Whaley, who has a master’s in computer science from MIT and a doctorate in the field from Stanford, is catching attention. His company competed with scores of others as the most innovative startup in the field of cybersecurity at last month’s RSA conference in San Francisco, which drew 43,000 attendees, and won in a unanimous decision of the judges. Technology to ensure authentication of users would have repercussions in banking and finance, e-commerce, cybersecurity, transportation security and in fraud detection — sectors with a value that nearly reaches $2 trillion. “The need for extended authentication technology is going to be great,” said Robert Capps, vice president of business development at NuData Security, a Vancouver, B.C., firm that uses behavioral analytics to help clients identify good users from bad ones. The downside to using biometrics, such as fingerprints, in computer security is not widely understood. “There definitely is a gap in the perceived value of biometrics and the true value,” said Daniel Ingevaldson, chief technology officer at Easy Solutions, a Doral, Fla., company that helps banks fight electronic fraud. Ingevaldson noted that a billion smartphones are now equipped with fingerprint sensors, and consumers clamor for banks to accept biometric proof. But fingerprints are not secure. In the hack of the federal Office of Personnel Management in 2015, the fingerprints of 5.6 million people were stolen. And prints can be lifted off surfaces such as glass doors. High-resolution photos can also fool facial recognition software. “Once your biometric credentials are stolen, they are stolen forever. There’s no way to easily change your face. There’s no easy way you can change your voice. And definitely not an easy way to change your fingerprints,” said Ricardo Villadiego, Easy Solutions’ chief executive. Traditionally, the areas of authentication for users are something you know (such as a password), something you have (say, a cellphone or an electronic key) or something you are (a biometric indicator). As the need for passwords has proliferated, users have grown fatigued. Many users choose ever simpler passwords. They repeat the same password on multiple sites, or make minor modifications. The advantage of what UnifyID calls implicit authentication is that a user doesn’t take conscious action to verify his or her identity. The smartphone, using a databank of patterns of a given user, is continuously testing against those patterns. Kurt Somerville, chief operating officer at UnifyID, said companies compiling the vast data that can be extracted from smartphones must be “totally transparent” with users about what they are collecting and what it will be used for, opting in or out for each data point. “If they are not comfortable with us using their GPS, where they physically move, they can turn that off and all the other factors will essentially reweigh themselves,” he said. Whaley said the passive biometric data would be kept on the smartphones themselves, not by the company. “We always want to be in the position that even if somebody hacked into our servers or we got a subpoena from a government or otherwise were compelled to give up data, we can legitimately say there’s no way for us to give that data because we don’t have it,” Whaley said.